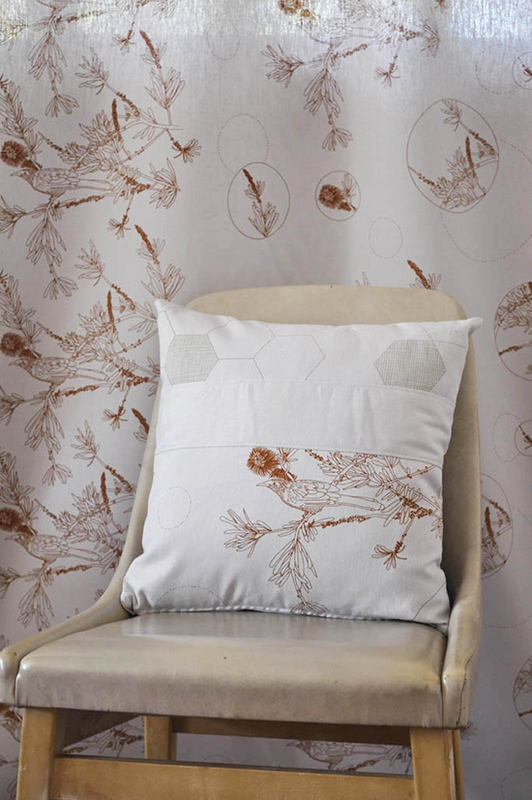 Pinch River - hand printed eco textiles and more...: Cushion sale in my Etsy shop! Cushion sale in my Etsy shop! I have been selling quite a few cushions lately at the markets I have been doing and I have decided it's time to move the remainder of this stock to make way for new colouways and combinations. So I have just listed the majority of cushions sitting in my studio to my Etsy shop, all at wholesale prices. All are limited stock with many of the pieced-fabric cushions being one-off combinations... but if you want to match them to have a pair then contact me and I'll see what I can do. The price on all cushions includes insert, GST and shipping... so no surprises at check-out - yay! A great gift for Xmas or for yourself for under $100.00 that treads as lightly on this planet as possible. Many of the inserts are eco-friendly - they are lovely and plump and made from recycled PET bottles to stop them going in to landfill. (I will be using these from now on). The other inserts are made from polyester but are manufactured by a business with a strong environmental policy and being local to me (at the time of purchase) there were very low carbon miles on them. The covers are made from a beautiful hemp / organic cotton canvas and hand printed with water-based non-toxic inks... some are paired with a lovely cotton velveteen for a little pop of colour and texture.